When using a steel strapping system to fix items to a pallet for shipping, in or to make them secure, you will need to pull the banding tight to the load; this is where a tensioner comes in. 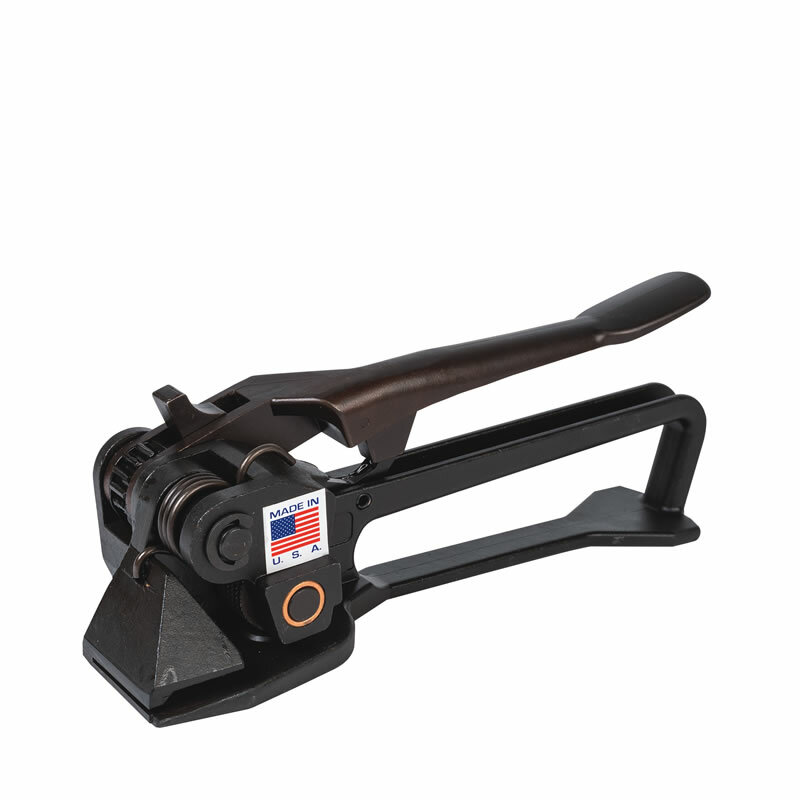 By feeding the ends of the steel strapping into the tool, you are then able to crank the handle until all the slack has been taken up and the load is secure. Next, the tensioner holds the banding in place whist you add the seal and use a securing tool to hold it in place, the tensioner can then be removed, leaving the steel strapping in place. This model is suitable for steel strapping of up to 32mm wide.